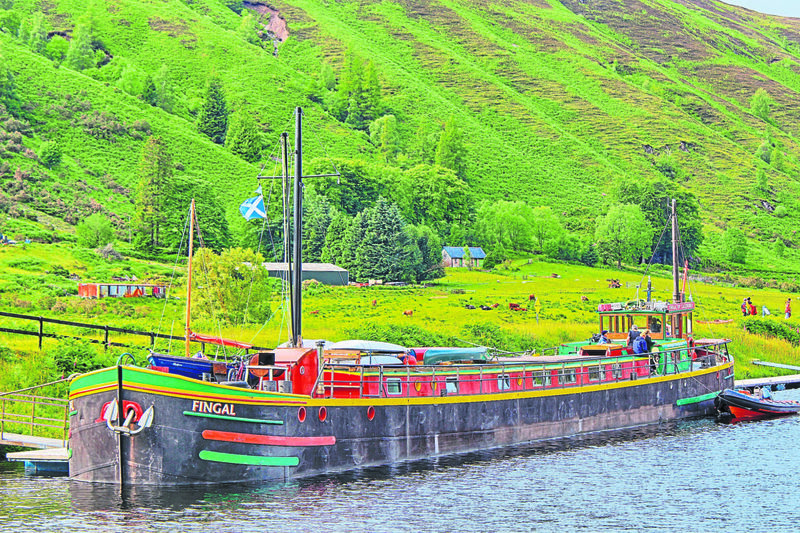 THE Caledonian Canal is 60 miles of natural fresh water lochs and man-made canals running through the magnificently scenic Great Glen of the Scottish Highlands, from Fort William to Inverness, writes Cicely Oliver. It can be followed on foot or bike – the Great Glen Way – by boat with plenty of choice of hire boats or by canoe or kayak along the Great Glen Canoe Trail. Donald Macpherson (pictured above) was project officer on the Great Glen Canoe Trail, working with British Waterways Scotland (Scottish Canals) and the other funding partners. He not only planned and created the trail, but wrote the guidebook and, with paddle sport colleagues, filmed the video. 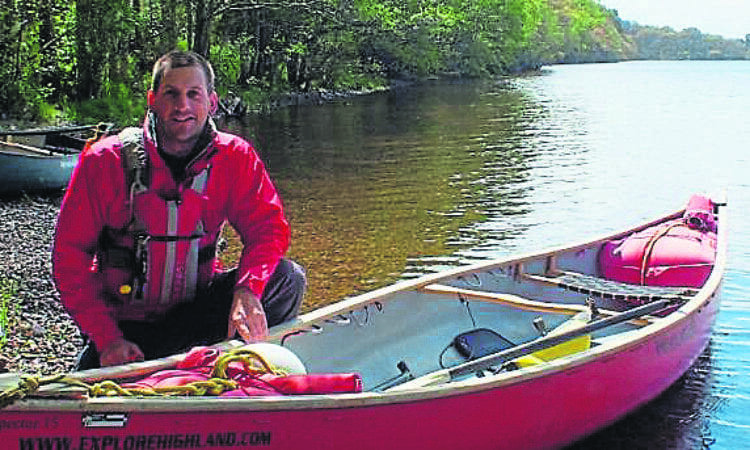 In 2012, at the successful end of his contract, Donald launched his outdoor adventure company Explore Highland full-time, offering all-inclusive trips, equipment hire, skills courses and guided adventures, by kayak, canoe or stand-up paddleboard. Cycle hire and supported rides are also on offer. As well as guiding trips along the canoe trail he knows so well, Donald offers equipment hire, support and a shuttle service to independent paddlers following the trail. But Donald is keen to emphasise that there’s a paddle sport experience available for everyone, whatever their age, level of fitness or ability. Explore Highland’s base is right on the canal at Clachnaharry Works Loch with easy access to the flat waters of the canal, the Beauly Firth, and tons of lochs and rivers. Alternative trips include the Outer Hebrides and over the sea to Skye. Everyone wants to paddle Loch Ness, a popular half-day trip, suitable for all levels of experience. From his base at the northern end of the Caledonian Canal, Donald takes clients exploring around Loch Dochfour and then on to Lochend, at the head of the world-famous loch. There’s time for a break to enjoy the views, a brew and cake, and perhaps a selfie with the monster, before paddling back to base. Donald recommends the tandem, sit-on-top kayaks for this trip. They’re low, easy to master, and ideal for family groups who can pair children with an adult. Dogs are also welcome, depending on size and temperament (dogs can rock the boat a wee bit too enthusiastically) and doggy buoyancy aids are available for hire. 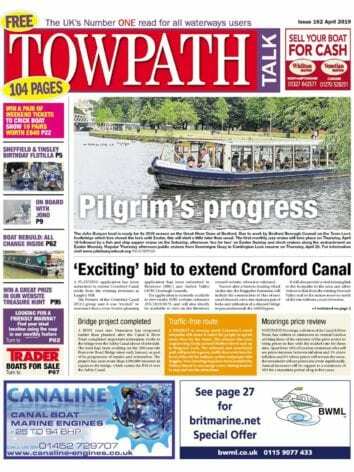 Skills training can take place on the canal between Donald’s office and Muirtown Locks, and includes stand-up paddle boarding, introductions to sea kayaking and open canoeing. Donald observes that being based on the canal gives him the best of both worlds: with the flat waters of the canal and easy access to the tidal Beauly Firth. He sometimes takes a circular trip along the canal to Dochgarroch, on to the River Ness to the Beauly Firth, past Merkinch Local Nature Research, and back on to the canal. He lists the reasons to explore the canal by canoe, including the views, beautiful surroundings and wide-open skies, opportunities for al fresco eating and wild camping, exercise, good company, and the pleasure of paddling clean water and breathing the fresh air. While you may not spot Nessie the Loch Ness monster, travelling by canoe or kayak is an excellent way of getting close to the local wildlife. With so much choice it’s difficult to choose a favourite trip or tour but, if pushed, Donald highlights Laggan Avenue (above), the section of canal between Laggan Locks, at the eastern end of Loch Lochy, and Laggan Swing Bridge (just before Loch Oich), a stunning and sheltered stretch of the canal, lined by trees and with fabulous views. Donald takes care to support local businesses as much as possible, including the family-run Lochside Larder, by Loch Oich, for home-made snacks, cakes and an ice cream. Donald says he won’t ever be a millionaire working in the outdoor industry, but he loves being his own boss, and doing something he enjoys – ultimately, it’s all about what his customers want, and it’s paying off.